NEW FEATURE!!! All of the Ultrazone Ozonizers are available with Standard as well as Waterproof Ballasts. Both feature Intelligent Electronic Design. Ozone is by far the best way to boost your water quality. 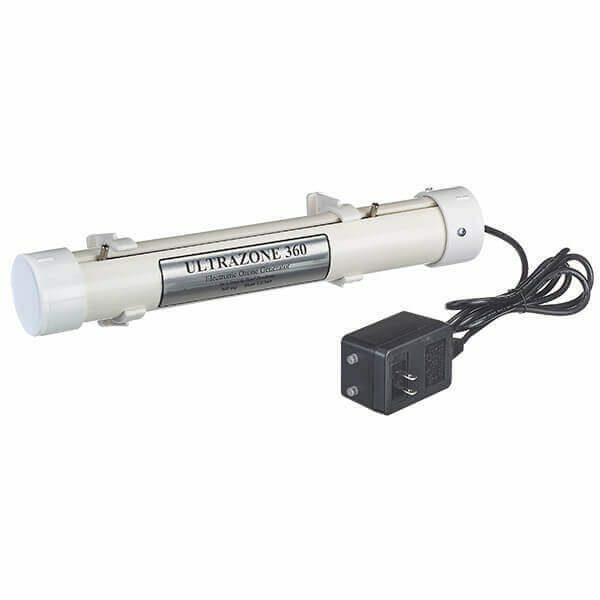 The Ultrazone Series Ozonizers clean up aquarium water by removing unwanted organic decay, proteins, and pollutants. By eliminating harmful organics, ozone increases the longevity of all marine life. The Ultrazone Series Ozone Generators manufacture ozone by passing oxygen molecules over a specially designed light source. The active oxygen creates superior water quality providing aquarium inhabitants with a clean environment for living and reproducing. Hobbyists and professionals praise the ‘Ultrazone’ Ozone Generators for their safety, performance and low maintenance. There is no doubt the NEW “Ultrazone NANO” as well as the “Ultrazone MEGA” will continue in the same tradition. The ozone lamp and lamp chamber are designed for easy user replacement. Ultrazone Nano is used with aquariums up to 60 gals. Ultrazone Mini is used with aquariums up to 125 gals. Ultrazone 360 is used with aquariums up to 600 gals. Ultrazone Mega is used with aquariums up to 2000 gal. The ozone lamp for the Ultrazone Series will supply over 9000 hours of uninterrupted service. This product is for advanced aquarists and can be harmful to your tank, other animals and people in the house if misused. The air inlet is the fitting closest to the power cord, and the output is the outlet away from the power cord. The Ultrazone is made in the USA and has a 1-year warranty on the Unit and Ballast and 30 days on the ozone lamp.